8x8, Inc. is the trusted provider of secure and reliable enterprise cloud communications solutions to more than 40,000 businesses operating in over 100 countries across six continents. 8x8's out-of-the-box cloud solutions replace traditional on-premises PBX hardware and software-based systems with a flexible and scalable Software as a Service (SaaS) alternative, encompassing cloud business phone service, contact center solutions, and conferencing. 8×8 Inc. wanted to ensure their customers were receiving the best possible customer support. They added Inbenta’s AI-Powered, Intelligent Search and Natural Language Processing to understand the meaning of a query. This allows the relevant answers to appear quickly and easily to customers, regardless of keywords. 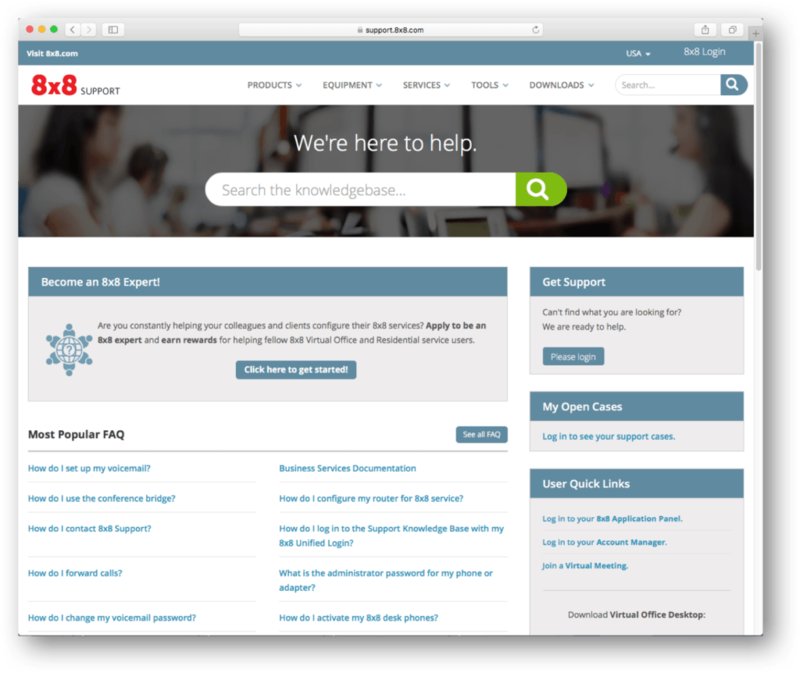 Customers can now enter a question and receive the best answers from 8×8’s Knowledge Base or website.